WARNING: Update Your iDevice To The Latest iOS! Earlier this week Apple released iOS 4.3.4 to fix the jailbreak method of jailbreakme.com. But now nakedsecurity advice us to update to iOS 4.3.5 as fast as possible: “Moxie Marlinspike posted a message on his blog yesterday announcing an update to a tool called sslsniff. The sslsniff tool has been around for quite some time (nine years!) and allows users to easily perform man-in-the-middle attacks against SSL/TLS connections. The new version of sslsniff knows how to identify vulnerable Apple devices and allows anyone to snoop on secure communications.” » WARNING: Update Your iDevice To The Latest iOS! iOS 4.1 Will Be Released On 8 September! At the Media Event Steve Jobs already talked about iOS 4.1 but only told us that iOS 4.1 will be released “somewhere next week”. But now the Apple website is saying that the new firmware will be out on Wednesday, 8th September. 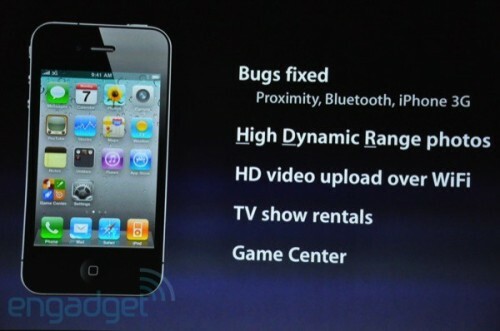 iOS 4.1 will bring us new features like the Game Center, the ability to upload HD videos, HDR Photo and Ping inside iTunes. 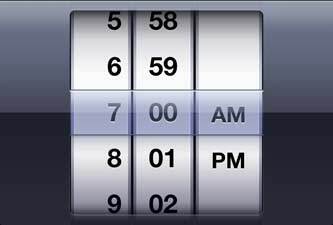 Also it includes really important bug fixes such as, proximity, Bluetooth and iPhone 3G issues. Twitter For iPhone Updated To 3.0.3! Twitter for iPhone has just been updated to version 3.0.3. Its not really a big update, but it’s a important update for iPhone 4 users and OS 3.1.3 users because Twitter 3.0.3 fixed a view nasty bugs. For some people it was not even possible to start Twitter when you used firmware 3.1.3 and Twitter did not display correctly on the iPhone 4, those issues are now fixed. 3.0.3 did not only fixed those bugs but also added 3 new languages, German, France and Spanish.